A great story... in two parts. 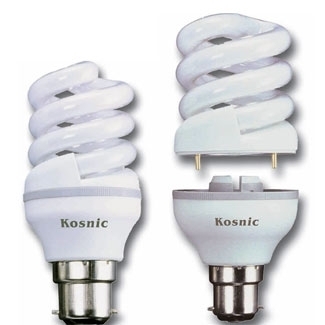 Kosnic's 2-part spiral lamp is a unique new product, designed to further reduce lighting costs. 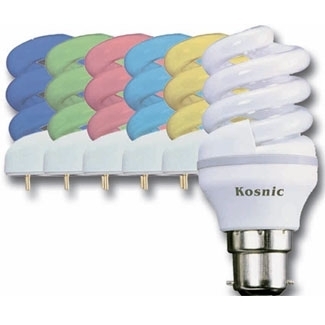 The electronic adaptor and replacement lamp together form a complete energy saving light bulb. Instead of replacing the whole lamp, the use only needs to replace the spiral tube which costs only one third of the complete lamp. To connect, simply rotate to the 'unlock' position on the electronic adaptor, and plug in the replacement lamp, then twist to the 'lock' position. As well as 'White', we offer a full range of coloured replacement spiral tubes available - please call 0800 007 6066 for more information.